The landscape of any home or business property in Lakewood, WA looks all the more striking and attractive if it includes tall, blooming trees. However, such trees are not simply a gift of nature, but a result of sustained, painstaking tree care. Tree trimming or pruning is a major part of tree care services that are necessary to maintain elegant trees. Our company has been providing tree trimming services in the Lakewood area since 1986 and can be trusted to do every pruning job with finesse and the utmost care. We know all the tree pruning techniques, including crown cleaning, thinning, reduction, and raising. Our arborists offers customized tree trimming services in Lakewood using techniques that are right for the job at hand. Most people believe that tree pruning on their Lakewood property is necessary to maintain the property's outdoor beauty with magnificent, well-proportioned trees. However, improved aesthetics is just one of the benefits offered by tree trimming. Pruning for Lakewood trees is actually very essential to promote their health and growth. Therefore, you should call us regularly for tree pruning on your Lakewood property if you want your trees to flourish. If your property has fruit trees, our pruning services are sure to help you enjoy an ample harvest. 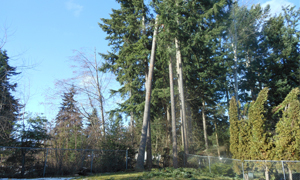 Why Choose Us When You Need Tree Pruning in Lakewood? It often takes years for a tiny tree to grow into a huge tree. 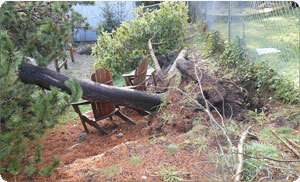 Poor tree care can make all that labor and patience result in nothing but a dead tree. Call us when you need tree pruning in Lakewood to ensure that your trees get the right care. Choosing us for tree pruning in Lakewood is the best decision you can make for your trees. 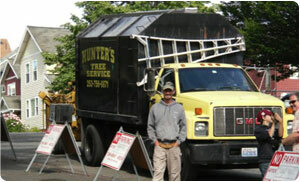 Call Hunter's Tree Service at 253-777-1938 today for tree trimming services in Lakewood.